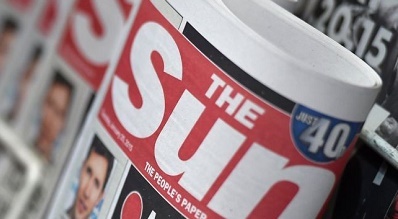 Rebekah Brookes, Editor in chief of popular newspaper The Sun, has said that she is ‘mystified’ at the failure of the paper’s online publication, which charged prospective readers £2 a week to look at womens’ breasts on the internet as well as misinformed knee-jerk opinions on current affairs. Ms Brookes who was responding to a request for an interview we left on the answer machine of our own mobile said “We don’t know what’s wrong with people, £2 a week to get your xenophobic misguided opinions confirmed to you in black and white, plus a chance to say Whay-hay! Look at the norks on that! It’s only £100 a year and its not as if you can get this free anywhere else on the internet. We thought we had the market by the balls.